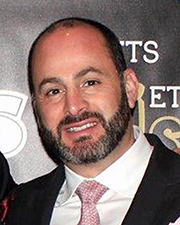 New York, NY The New York Real Estate Journal recently sat down with its executive of the month, Alex Getelman, executive managing director of MBI Group, for a question and answer session. Q: How did you get started in the business? A: I was interested in business from a young age; I wanted to be useful and provide a service people appreciated. My first business was a car washing business, which we incorporated with 10 employees by the time I was 16. I always knew I wanted to work in the world of building and construction, and growing up in Freeport, Long Island, had a neighbor that worked in the construction business. Ed Campanella-Rodriguez became a mentor and saw me as an ambitious young man and thought I’d excel in the construction business. In my last year of college, I worked part-time started in the estimating department of Ed’s company and fell in love. After graduation, I accepted a full-time position and worked as a junior estimator ultimately learning how to price projects and read blueprints. After I was successful I was transferred to the field as a superintendent building out high-end retail stores like Coach and J. Crew. Q: How did you advance in the industry? A: I enjoyed attending industry conferences and meetings and one day, Ed told me, “why don’t you try selling projects?” This was the dot com era, where business on the construction and contracting was very strong. I was naturally good at talking with customers, having been on the project side so long. I was very successful in signing up new clients. At that point I had an edge selling contracting work, because I truly understood what the client needed and what a realistic budget and schedule would look like. It’s always the same three components – quality, schedule and cost. I believe in treating every project like it’s your number one priority. In this business, you’re only as good you last job. and custom high-gloss ceiling panels. Q: Of all the roles you’ve had, what was your favorite? A: I love the world of construction and general contracting and each role I’ve had has contributed to my knowledge. But my favorite role was being a super—it’s a fast-paced and interesting role where every day is different. From working with the tradespeople, to the architects, it’s like you’re putting together an interesting puzzle every day. You have to get to the job site before 7 a.m., meeting with the trades, going through the day’s goals, negotiating with the building to get the use of the freight elevator, maintaining the overall project schedule, coordinating the team and ensuring we were not closing up my walls before the electrical and plumbing was in. Finally, completing the project with the finishes was satisfying. Q: What are some of the most important lessons you’ve learned from the people you work with? A: Be humble. Work hard. Be honorable. It’s as simple as that. Q: Who has had the biggest impact on you and why? A: Ed Campanella-Rodriguez gave me the opportunity to work for him in this business. He took me under his wing and taught me everything he knew. He wanted me to be better than the teacher. After starting, going out on my own and coming back after 12 years, our long history of working together successfully speaks for itself. We believe in the same company values: giving a high-quality result in the time frame promised. Plus, making a living with your best friend is a lot of fun. Q: What are your favorite project types to work on and why? A: MBI Group has a 30 year history working on corporate, medical and educational spaces of all kinds. I love complicated work with a lot of layout and finishes, getting everything to fit together perfectly and ending in a successful result. Floors, walls and ceilings are fun to work on. It’s how I started in the business. I like the more complex jobs, getting the details right fits with my personality. Q: How have you managed to sustain MBI through many turbulent moments in the country’s history? A: Because we are diversified, as each sector goes through their highs and lows, because our eggs aren’t all in one basket we have a constant flow of work. We have built great client relationships over the years. Regardless of the economic or political climate, we are very loyal to customers and they are loyal to us. This is a relationships business, and people always come first. two-story annex to create an integrated school building. Q: What’s the most interesting job you worked on in the past year? A: Regal Cinemas Lynbrook. We took a 100-year old theater, leveled it, right in the middle of a mom and pop town we put up an 80’ high building with 13 theaters. There was a lot of red tape, getting it approved by the town. We built a destination for the town, with movies, food and drinks. Having that been our first theater, and building others for Regal, we accomplished everything we set out to do: complete a great job, keep the client happy and deliver the product on time and on budget. It was a very intricate project with a ton of infrastructure, a lot of coordination. We received very positive feedback from all parties. Q: What is an example of the complicated interior work you do? A: In July 2018, MBI Group completed the build-out of new corporate offices for Citizen Watch Company of America, a globally recognized brand known for creating precise, beautiful and high-quality timekeeping products. The interiors mirror the sleek and innovative design the watchmaker is known for. The 25,000 s/f project included: a new elevator lobby and reception area featuring curved ceilings and specialty stone; conference rooms and private offices with extensive glass and custom millwork; open workstations; a media room; lunchroom; wellness room; and pantries. 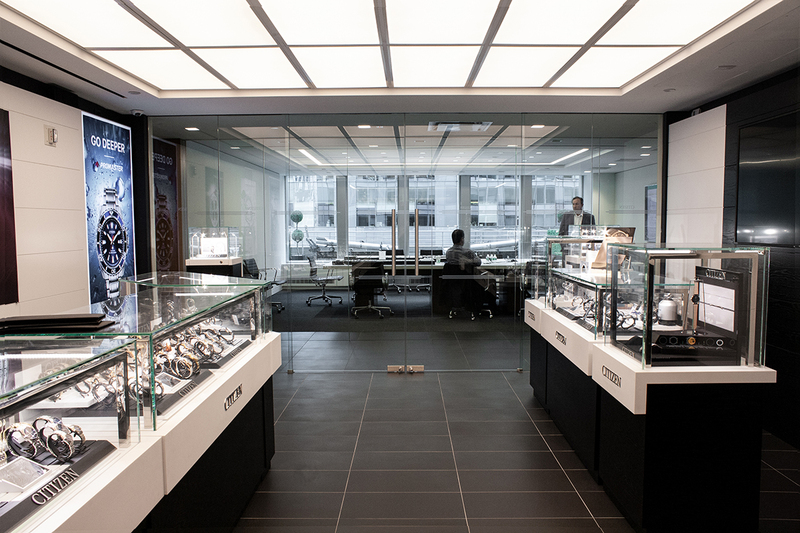 Most notably, MBI Group built Citizen Watch a special merchandise product room and retail set-up showroom, which included a DJ music booth, LED lighting set in a matching pattern recessed within the floor along with custom, high-gloss ceiling panels. Q: Is there a project you’re particularly proud of and why? A: We recently had the privilege of providing our construction services to The Bronx Charter School of Excellence for the second time. Community schools play a key role in shaping the next generation of leaders, and MBI Group is proud to have worked with an organization that highlights and builds upon the successes of students who strive to succeed academically. We worked as the construction manager and general contractor for a large-scale renovation and expansion project. 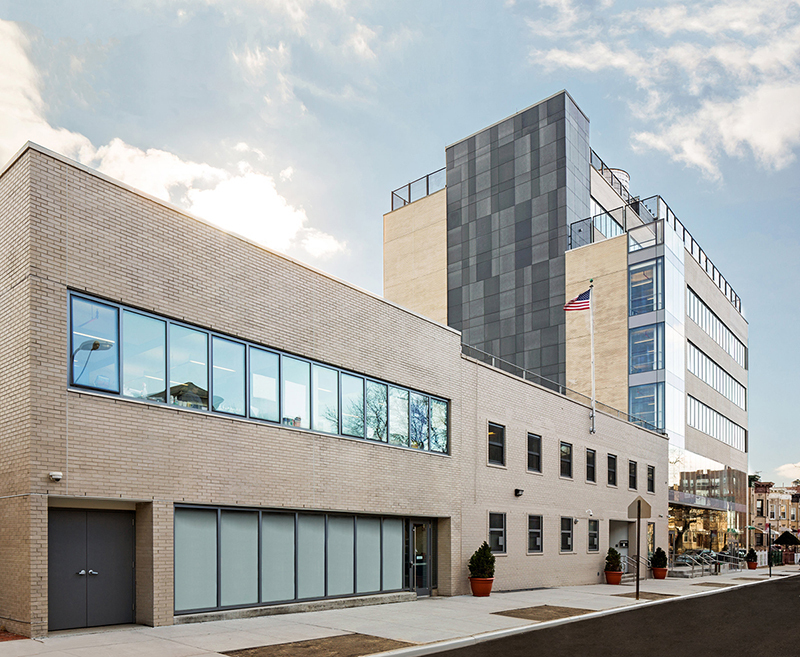 In May 2018, MBI Group completed the $15 million project, which consisted of a new seven-story tower and the renovation of the existing abutting two-story annex to create an integrated school building at 1952-1960 Benedict Ave, Bronx. Q: Looking back on your years at MBI Group, how has the company changed since you started in 1993? A: We had one computer and one old fax machine and everything was done in triplicate, there was a white pink and black copy, if you made a mistake the whole thing needed to be redone. Tech has changed the business in small ways and in big ways. Today, due to a more open society and the rise of technology, I think people work in groups better. There’s more communication now in work and in life. You can be on the job site rather than in the office more often, interfacing with all teams. Email, FaceTime, and texting has changed everything. These changes have been positive. The size of the company has changed too; we were 20 people then, now we’re around 100 people But what hasn’t changed is the love we have for our staff; we’re a family. Q: How has the industry changed as a whole? A: The industry has changed significantly. Today, there is more competition than ever before, and the world is moving at a faster pace. In the past, people were willing to pay for quality but today everyone’s looking for the lowest number. In this industry, you need to carve out your own niche. You also need to deliver a very high-quality product consistently. Our job is to manage the process efficiently, we put a lot of effort and money into being able to utilize our resources to deliver our commitment. Q: What makes MBI Group unique in this industry? A: MBI Group has always had principal involvement. You get our senior team with all major projects, and it will always be that way. We’re passionate about this work and enjoy it. There’s nothing better than securing a new project someone gives you the opportunity, and going above and beyond for them. Q: If you didn’t work in construction, what would you do instead? A: Real estate development. I have a passion for real estate: the whole industry as it ties into everything related to the real estate industry. Q: What is the next big initiative for MBI Group? A: MBI Group will continue to capitalize on the sectors we are in; education, hospitals, interiors. We will always stay true to our talents and continue the best quality construction in the time frame promised. We will never veer away from what we’re good at, and our clients continue to come back as a result.